We had over 60 visitors to the NWLDC Compost Awareness Week stand at Coalville Market today. 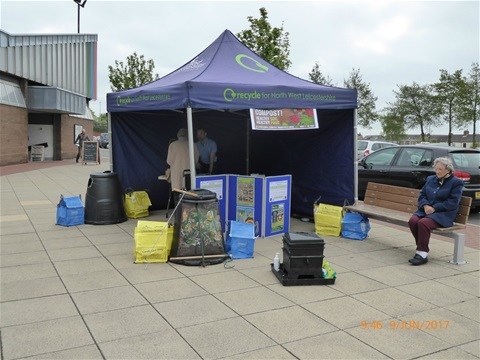 The Council stand will be moving to outside the Morrrisons Supermarket tomorrow but I will be heading to Buckingham Garden Centre to promote composting with worms. If you are involved with a Garden Club, Allotment or any other group and would like a talk on a composting topic (in the Midlands within about a 2 hour drive from Coalville) please contact me.